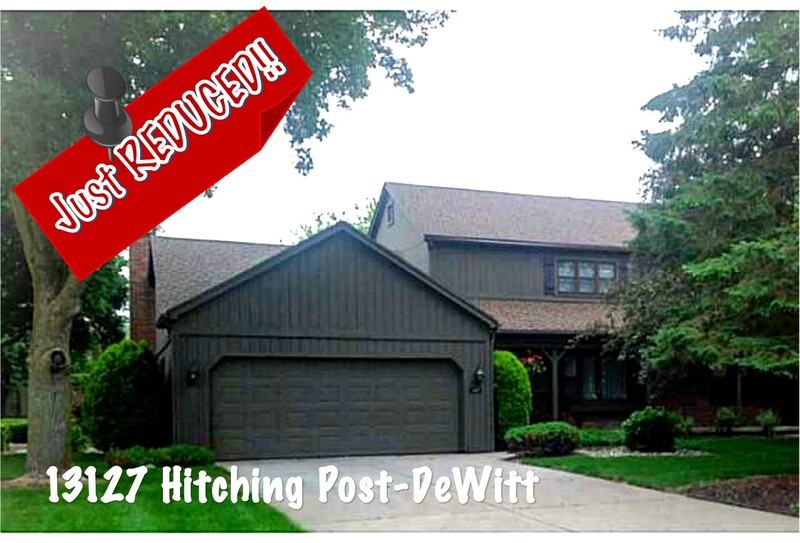 Welcome to 13127 Hitching Post Dewitt, MI 48820. This beautiful 2 story condo is situated in one of Dewitt’s most beautiful and desirable areas, Country Meadows Subdivision. This condo is surrounded by single family homes so you get the best of both worlds. The main level features an updated eat-in kitchen and separate formal dining room. In addition to the large living room, there is a separate family room with a beautiful brick fireplace. The family room leads to your very own private patio and ample yard, perfect for pets, or family play. This condo also features a full finished basement with a large area for storage. Upstairs you will find 1 over sized bedroom and the master suite-bedroom both featuring large walk-in closets. Monthly fee includes: all exterior maintenance, snow, and lawn care, giving you the at home feel without the maintenance. For additional information on this property contact The Selling Team’s Jeff Burke at (517)853-2585 or click here! Posted on August 11, 2013, in All Other Listings. Bookmark the permalink. Leave a comment.